Join Artist-in-Residence Yu-Wen Wu in the Leavings/Belongings project at the Pao Art Center. Inspired by the tradition of storytelling while making, the bundle-making project engages women from various immigrant and refugee communities in the making of symbolic “bundles.” Through the act of making together, participants can share stories. These anomalously shaped cloth wrapped bundles may represent what is left behind, and what may be carried in migration – survival, hope, dreams. Throughout these sessions, these bundles will be exhibited collectively in public spaces to generate conversation, dialogue, and bridges across experiences, generations, and ethnicity. The bundles will contribute to the project Leavings/Belongings. Materials are provided. Feel free to contribute to the project by bringing fabric meaningful to your personal or your family's journey. Yu-Wen Wu is a Boston-based interdisciplinary artist. 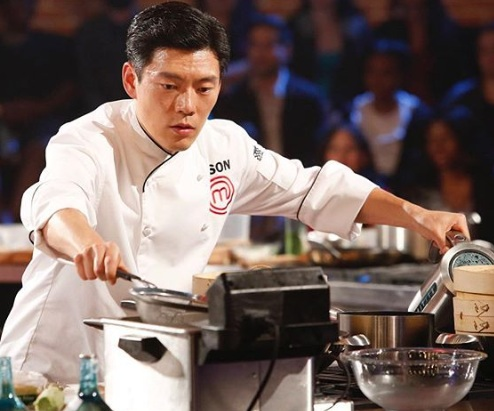 Born in Taipei, Wu came to the United States at the age of seven. Her work is informed by this bi-cultural upbringing — the eastern and western influences in life and art. 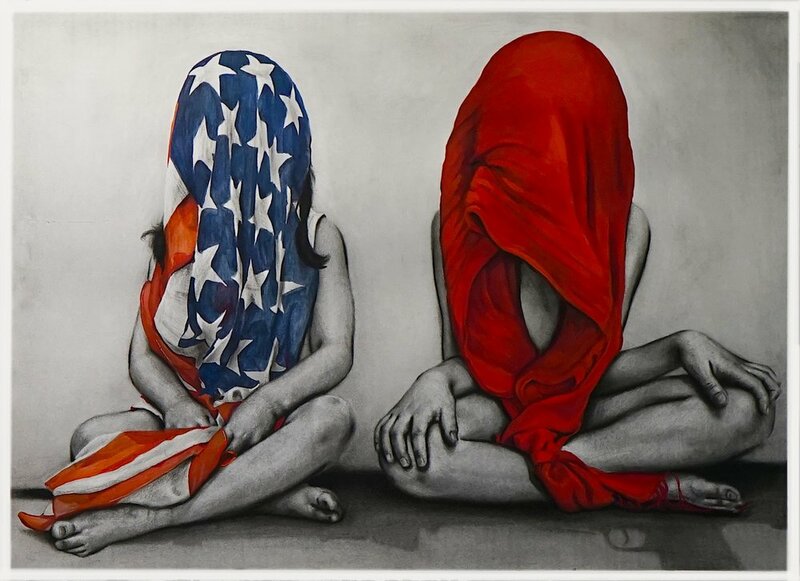 Wu’s current work explores the issues of Displacement, Assimilation and Individual and National Identity. Through video, installation, drawing and sculpture she challenges our impressions of accuracy and storytelling. Compositing imagery, she draws together the natural world and social movement, on both a personal and global scale. She approached her own experiences of immigration and other culturally specific happenings by presenting them as a series of inevitable occurrences. She is the recipient of numerous awards, exhibiting museums and galleries nationally and internationally, and in many public and private collections. We are excited to partner with the Boston Children’s Museum to present the BCNC Community Circles exhibit! Children and staff from BCNC created a community art piece led by artist Shaina Lu that will be on display at Boston Children's Museum from March - December 2019. Join us for the ribbon cutting ceremony on March 1st at 5:15pm! Take the mic, push your friends to the stage front, and belt out some old favorites or catchy new songs with your neighbors! Gather at the Pao Arts Center on the last Thursday evening* from 6:00pm- 7:30pm of each month to sing and share time with community members in Chinatown. Dates are listed below in the registration form. *May 16 is the exception. Trumpet vine is a wild growth that rambles up structures and trees. The vibrant sunset flowers that bloom each year are unmistakable and truly a sight to behold. Create beautiful paintings to practice your hand at Chinese watercolor and have something to bring home or share as a gift. Class will be held on Saturdays, March 30 & April 6, 13, and 20. Register for the series by Saturday, March 23. PLEASE NOTE: APRIL 6 SESSION IS FULL. NO WALK INS WILL BE ACCEPTED. Join us for the opening night of VIETGONE! Wrap beancurd (also known as tofu skin) around shredded vegetables to create delicious Chinese vegetarian/ vegan rolls to please your palate. Mmm! The fee is non-refundable unless the class is cancelled by BCNC. Materials will be provided. This season’s other workshops in the In the Kitchen series are: March 2: Wontons & April 6: Chicken Curry. About the Artist: Forra Yee Ngor Yu is currently employed as a Tax Compliance Officer. She immigrated to the United States from Hong Kong in 1978. One of her greatest passions is serving her community. She is currently Treasurer of the Malden Lions Club. Also, she served in the Chinatown Lions Club Chapter as President (2013-14). In the past several years, she has volunteered at many events including the Christmas celebration and fundraising events for the YMCA of Greater Boston, New Year’s celebration for Quincy Asian Resources, Inc. (QARI) (2008-18), and for Bread of Life in Malden during which she distributes Thanksgiving meals during November. The volunteer work has been very rewarding and for filling at a personal level for her. Her many interests include: cooking, red envelope art, decorating the office during the holiday seasons with handmade arts and crafts, Zumba, kickboxing, jewelry design, and traveling. We are excited to be partnering with Company One Theatre (C1) to present excerpts of C1's production of VIETGONE outdoors at the Rose Kennedy Greenway - Chinatown Park! 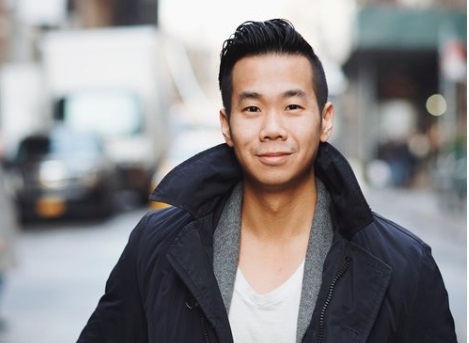 Written by Marvel Studios writer Qui Nguyen, VIETGONE is a stereotype-busting rom-com set (mostly) in an Arkansas refugee camp in 1975, based on the the real life love story of the playwright's own parents. This event will be part of ArtWeek, starting April 26 - May 5, 2019. API Arts Network will be presenting The Slants for an interactive discussion and concert at the Pao Arts Center. The Slants is the world's first and only all-Asian American dance rock band. They have been featured on Conan O'Brien, The Daily Show with Trevor Noah, Rolling Stone, and 3,000+ media features across 150 countries. The band has performed at some of the largest festivals in North America and Asia, including DragonCon, San Diego Comic-Con, SXSW, TED talks, and more. In 2017, they joined President Barack Obama, George Takei, and Jeremy Lin to launch an anti-bullying program. In 2018, they started The Slants Foundation, a nonprofit organization dedicated to providing scholarships and mentorships to artists looking to incorporate activism into their work. Join us as we celebrate 50 years of creating pathways to brighter futures and stronger communities! Visit 50.bcnc.net for event details. For sponsorship opportunities, contact Jean Quintal | 617-603-2540. Join us for our Acorn, Red Oak, and Family Child Care program reunions! 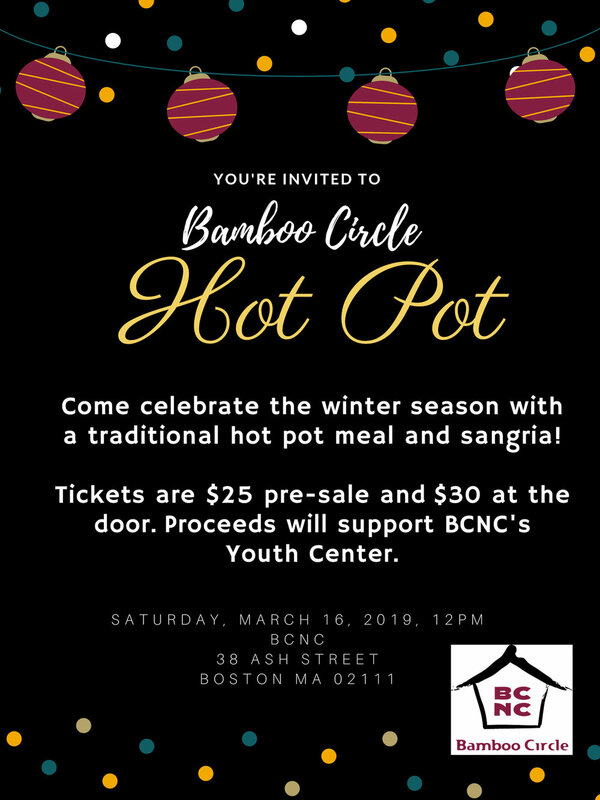 If you have been a teacher, staff, alum, volunteer, or parent at any of BCNC’s childcare programs, we’d love to see you there! Our reunion will take place at the Quincy Family Fun Fair. Please register by June 21st for this free event so we know you are coming. The first 50 people to register for one of our program reunions will get a small thank-you gift from BCNC. Follow this event on Facebook to get updates. Hear, see, and create together at BCNC’s annual family-friendly arts festival! Join us for a day of arts and culture in Chinatown. Join us for our Adult Ed program reunion! If you’ve been a teacher, staff, alum, volunteer, or parent at our Adult Ed program, we’d love to see you there! More details TBD. Please register by October 14th for this free event so that we know you are coming. The first 50 people to register will get a small thank-you gift from BCNC. Follow this event on Facebook to get more updates. Acclaimed songwriter musician Julian Saporiti brings his No-No Boy project, an innovative blend of music and scholarship, to Pao Arts Center. Working from years of doctoral research at Brown University, Saporiti has transformed Asian American histories into an immersive multimedia concert using original folk songs and archival projections to create what NPR has called "an act of revisionist subversion." This concert will focus on a selection of songs from Saporiti's vast catalogue that highlight his family's history as Vietnamese refugees, as well as a suite of songs that look at diverse stories from North America's Chinatowns. Suggested donation for the event: $10. All proceeds support arts programming at the Pao Arts Center. No-No Boy is a multimedia concert featuring the music of singer/songwriter Julian Saporiti. Inspired by his doctoral research at Brown University, as well as his experiences growing up as the son of a Vietnamese refugee in Tennessee, Saporiti’s original songs, interwoven amongst stories he has collected through the years, are performed against a backdrop of projections displaying archival photographs and films. No-No Boy creates an immersive experience which shines a light on diverse but interconnected histories: WWII Japanese Incarceration, southeast Asian refugees, and kids in middle-America making sense of hyphenated identities. Part happy hour, part exploration of the rehearsal process, this is your chance to get a first look at Company One Theatre (C1)'s production of VIETGONE prior to opening night. Asian American Theatre Artists of Boston (AATAB) and API Arts Network proudly present a FREE staged reading of THIS IS NOT A TRUE STORY by Preston Choi, followed by a post-show conversation at the Pao Arts Center. Light refreshments will be provided! Directed by Audrey Seraphin and Michael A. Rosegrant. Additional support from the Boston University College of Fine Arts Social Impact Seed Grant. Silent Flight is a site-responsive and improvisational dance piece directed by Wendy Jehlen, Artistic Director of ANIKAYA Dance Theater, in collaboration with an international ensemble of professional dancers from Asia, Africa, South America and the United States. Through community workshops, the dancers collaborate with seniors from the Chinatown community who practice folk dance weekly at the Pao Arts Center. The performance incorporates elements based on the flocking behavior of birds, exploring similarities between the movements found in human cultures, with relatable content about migration and immigration. The dance piece uses creativity and culture to improve community health and well-being. The performance will take place at the Rose Kennedy Greenway - Chinatown Park, and is funded in part by Boston Cultural Council; Eastern Bank; and the New England States Touring program of the New England Foundation for the Arts, made possible with funding from the National Endowment for the Arts Regional Touring Program and the six New England state arts agencies. Savor a flavorful batch of chicken curry that is sure to warm your stomachs and learn the labor of love that goes into making and feeding oneself and others. In this workshop, Chavi will be sharing her family recipe of curry chicken using healthy ingredients while about the benefits of ingredients and spices used. This season’s other workshops in the In the Kitchen series are: March 2: Wontons & May: Vegetarian/ Vegan Beancurd Rolls. About the Artist: Born and brought up in India, Chavi Bansal is an artist, educator, personal trainer, and yoga teacher. Her passions include: seeing people happy and healthy, building communities, and sharing nutritional information about everyday food. She has conducted many workshops including: Eating healthy under a budget, Nutritional cooking, and Healthy Simple Indian food. She has been teaching classes at Roxbury tenants of Harvard in Boston and would love to bring some of her successful recipes to BCNC. To know more about Chavi please check out : https://www.chavibansalyoga.com/ and https://www.chavibansal.org/. Pao Arts Center is proud to present author of A River of Stars, Vanessa Hua, on Thursday, April 4th. A River of Stars has been named as one of the best books of the year by The Washington Post, NPR and Real Simple. Suggested donation for the event: $10. Doors will open at 6 pm, the event will begin at 6:30 pm. Vanessa Hua will read selections from her book, to be followed by an audience Q&A and book signing. Books will be available for sale at the event. Vanessa Hua is a columnist for the San Francisco Chronicle and the author of a novel, A River of Stars, and a short story collection, Deceit and Other Possibilities. For two decades, she has been writing, in journalism and fiction, about Asia and the diaspora. She has received a Rona Jaffe Foundation Writers’ Award, the Asian/Pacific American Award for Literature, the San Francisco Foundation’s James D. Phelan Award, and a Steinbeck Fellowship in Creative Writing, as well as honors from the Society of Professional Journalists and the Asian American Journalists Association. Her work has appeared in The New York Times, The Atlantic, The Washington Post, and elsewhere. A Bay Area native, she works and teaches at the San Francisco Writers’ Grotto. This workshop has been rescheduled from March 2 to March 16. Love mouthwatering dumplings? Come try a variety of dumplings filled with pork and shrimp known as wontons! Students will learn to prepare two variations: steamed and deep-fried. Mmm! This season’s other workshops in the In the Kitchen series are: April 6: Chicken Curry & May 4: Vegetarian/ Vegan Beancurd Rolls. About the Artist: Forra Yee Ngor Yu is currently employed as a Tax Compliance Officer at Wealth Manager Services. She immigrated to the United States from Hong Kong in 1978. Ever wanted to learn about the world of podcasting? Or to start your own podcast? We have something for you! PRX Podcast Garage will be holding their podcast orientation at the Pao Arts Center in March. Sometimes getting started is the hardest part. In this orientation, PRX Podcast Garage will equip you with the knowledge and lingo to begin your podcast journey. Shape words, language, and culture in this three part series with Arabic, Chinese, and English language calligraphers. This series is Pay What You Can. We at the Pao Arts Center hope to support the arts and enrich the community. Any contributions you make go to support a fair wage for the teaching artists, materials, facility costs, as well as other students. We believe that arts and culture should be for anyone who experiences a budding or blazing interest. Rayna Lo was born and raised in Chicago, IL. 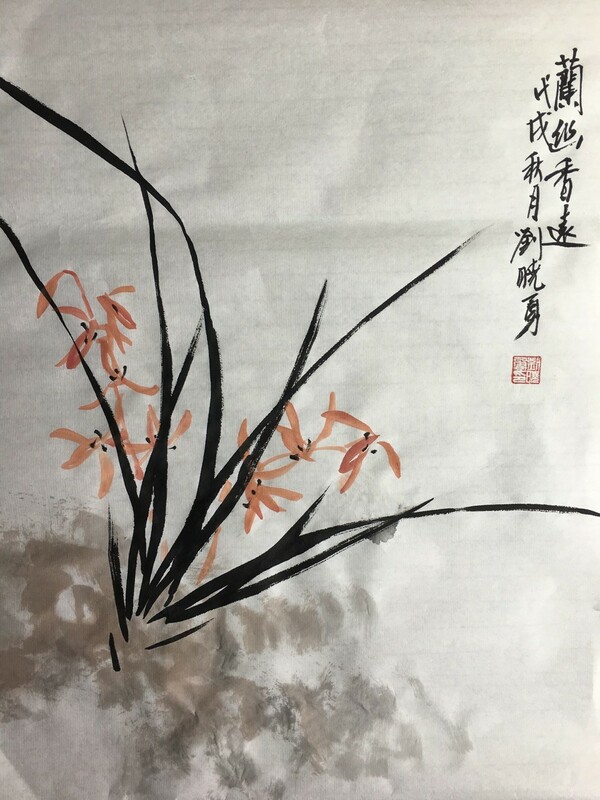 Fueled by her passion to connect more to her Taiwanese heritage, she began learning traditional Chinese calligraphy to help bridge the gap. The memory of taking a Chinese paint brush class during her childhood Chinese school studies had prompted her to investigate the tools. She was also looking for a way for her to connect to her childhood; nurturing this blurry memory was a way for her to hold on to any culture that had been passed down to her. The study of the craft has led her to explore other art forms such as western calligraphy, painting, and illustration. She now resides in Boston, MA. Hajj Wafaa born and raised in the old town of the city of Kufa in Iraq. He learned calligraphy from his uncle who was writing on fabric for businesses. In 1986, he started scripting ”thuluth”— the hardest style in Arabic calligraphy. Since then, he didn't stop learning and has mastered the most common styles of Arabic calligraphy. He graduated from Gibbs Boston in 2008 and holds a degree in Visual Communication-Graphic and Web Design. He teaches calligraphy in the greater Boston area. 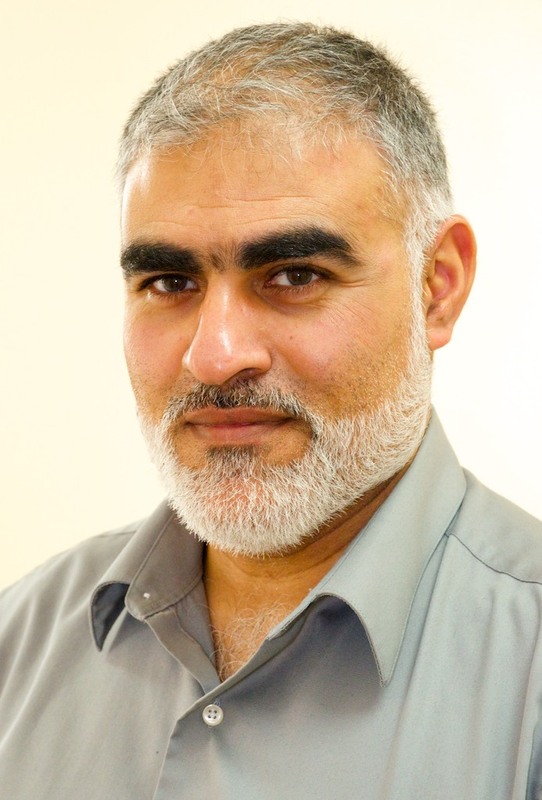 The year 2009 marks the first class he taught at ISBCC in the city of Boston. Now, he is teaching calligraphy for middle-high school at Al-Noor Academy. This fall, he will teaching at Worcester Art Museum in Worcester, MA. He has additionally hosted many workshops in and around Boston, MA— like at MFA, Harvard, Boston College, and more. Join Artist-in-Residence Yu-Wen Wu in the Leavings/Belongings project and gather together to create while sharing stories of your families' and your own immigration experiences! Butterflies have long captured the imaginations of people across the world in stories and as symbols. They play an important role in ecosystems regenerating every spring. 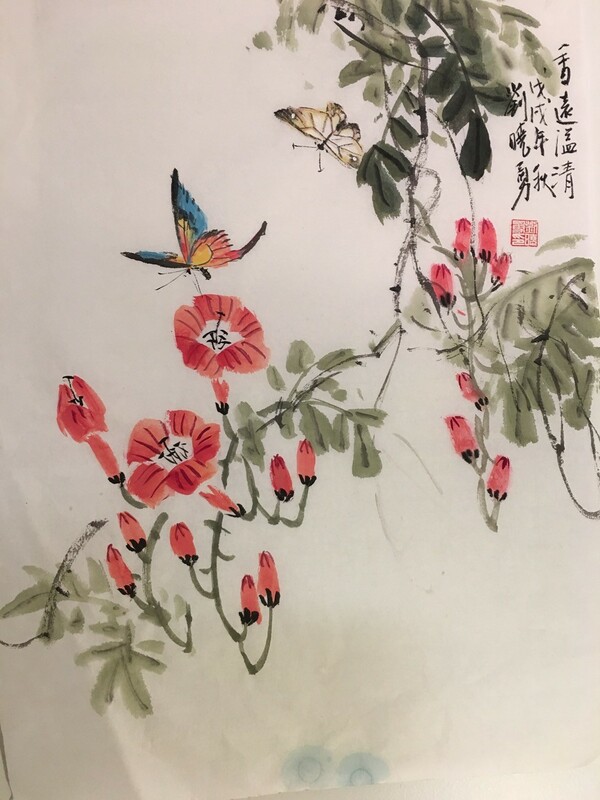 Awaken your appreciation for nature and culture with Xiaoyong Liu as you paint these colorful insects using Chinese watercolor materials and techniques. Class will be held on Saturdays, March 2, 9, 16, and 23. Register for the series by Saturday, February 23. Mix and mingle with James Beard Rising Star Chef Irene Li and Food Artist, David Ma for a very lively and unforgettable evening of eating and food play. 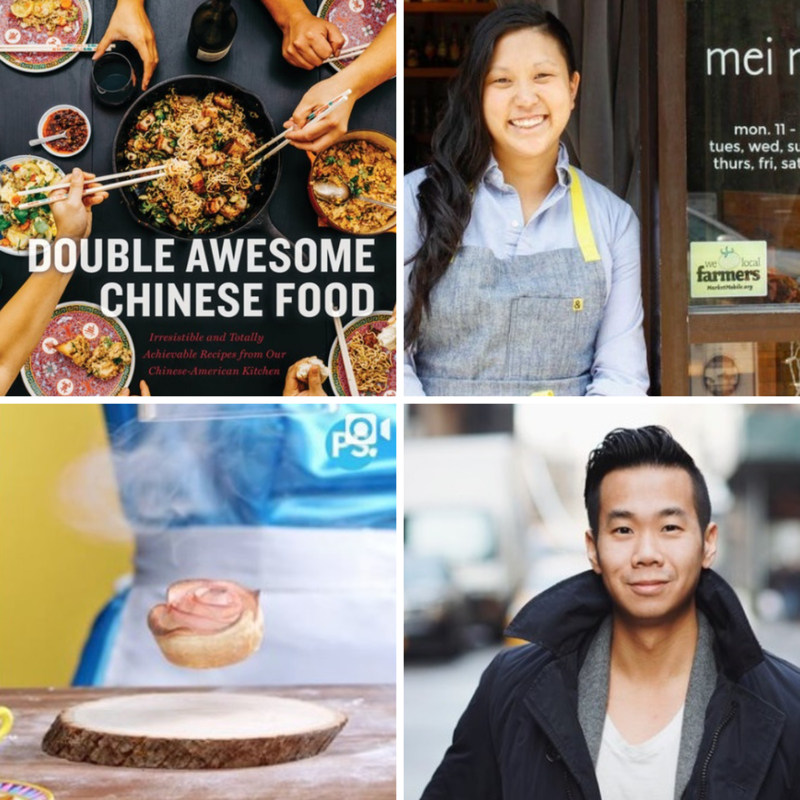 Local chef Irene Li dispenses anecdotes of her career, the popular food truck and line out the door, Mei Mei Kitchen as well as their first cookbook, Double Awesome Chinese Food. Food artist, David Ma, shares his creative journey from film director to Instagram star along with demonstrations and tips on making food drool-worthy and Instagrammable. $75 ticket includes autographed copy of the book, Double Awesome Chinese Food, delicious bites from Mei Mei Kitchen and drinks. Seating is limited, so register today! We have a few seats left so register today!. THANK YOU TO OUR SPONSOR BETTY SZETO! Tea is a staple in Chinese kitchens and tables. Come take this workshop to taste and learn about the ceremonial role of tea in Chinese culture. Stay for other family-friendly activities happening on February 17 to celebrate the New Year. About the Artist: Dr. Xingcai Zhang is a research fellow at Harvard/MIT. He was the President of the World Tea Organization, North American Chinese Tea Association, and mylovetea.com. He was invited by Chinese Consul Generals to lead the national-level tea fest and talk about the science and health benefits of tea for the United States President George H. W. Bush`s family. He introduced the World Tea Day to United Nation Secretary General Ban Ki-Moon. He is invited to work on the Nature Tea Outlook for Nature journal. He is a Springer Nature Editor and a Nature Nano Ambassador. Dr. Zhang also serves as a science writer for Elsevier Materials Today and Royal Society of Chemistry, and as an advisory board member for Wiley, an editorial board member or guest editor for high-impact scientific journals. Dr. Zhang finished his Ph.D. in natural products based nanomedicine and published around 40 high-impact international journal papers. Dr. Zhang is known as Dr. Tea and had been invited to give lectures/tea ceremonies at Harvard, MIT, BU, Tufts etc multiple times and had been reported by Harvard Political Review, China Daily USA, Fox News Radio, Boston.com, Boston Globe, Bostonese, China Radio International etc. hundreds of times. Dr. Zhang had also organized world tea summit and played a major role in a famous tea documentary. Dr. Zhang has composed more than 1000 Chinese Tang Dynasty-style poems including tea poems and some of them have been translated into English. Dr. Zhang can be reached at 2253041387(phone), mylovetea@outlook.com. Boston's Chinatown hosts the biggest Lunar New Year parade in New England with troupes of colorful lion dance dancers ringing in the Year of the Pig. Huddle indoors at BCNC’s new Pao Arts Center in Chinatown and let your creative and artistic impulses flourish during the New Year! 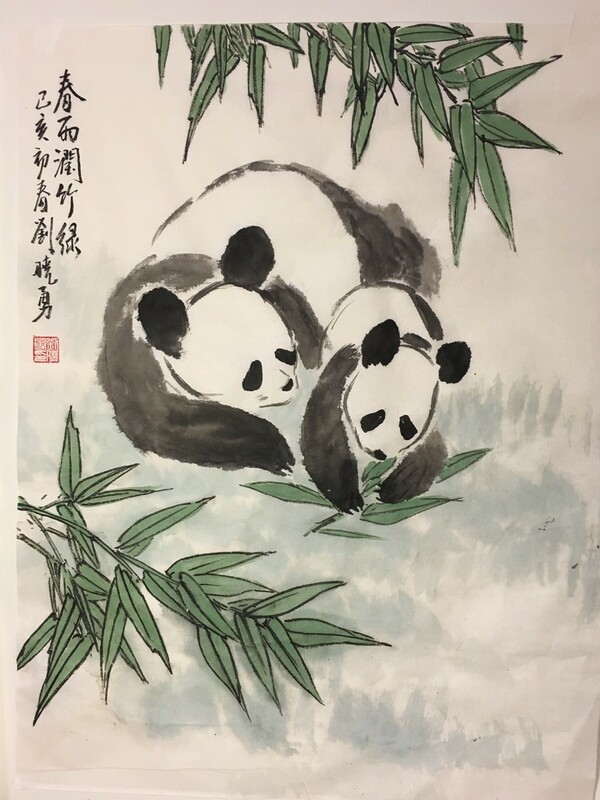 Drop in for free family-friendly activities from 11:00am-3:00pm including Chinese and English calligraphy demonstrations and exhibition tours. Drop-in Lion Dance workshops run at 12:15pm, 1:15pm, and 2:15pm. Learn how to make dumplings, a traditional new year dish. Click here to register for this fee-based workshop on February 17, 11:00am. Soothe your throat and taste tea. Click here to register for this fee-based workshop on February 17, 1:00pm. 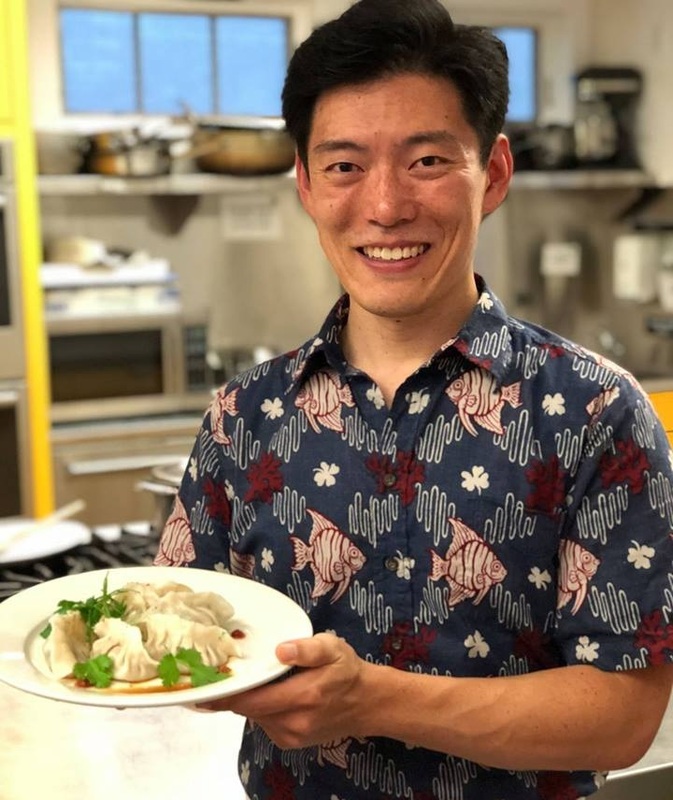 Learn how to make, fold, shape, and cook dumplings with local BCNC community member YuYan Su. Dumplings are a popular Chinese dish for the new year. YuYan Su will be teaching two recipes: one that appeals to traditional palates as well as her own delicious, unique Chinese American recipe. NOTE: Registration for this event has reached its capacity. Please contact Vania Chan for more information. About the Artist: YuYan Su came to the United States with her parents in 2001. She worked in the Boston Market for nine years. During her time of work there, whenever she saw customers enjoy the food, she was filled with a kind of fulfillment and happiness. That was the beginning of when her interest in cooking blossomed. Once during a BCNC Cooking Matters class, the teacher gave her a chance to lead and instruct. This opportunity was the moment that made her fall in love with the atmosphere of learning to cook with everyone. Pao Arts Center and Chinese Historical Society of New England (CHSNE) are proud to present activist and author, Helen Zia, as she discusses her latest book, “Last Boat Out of Shanghai: The Epic Story of the Chinese Who Fled Mao's Revolution” at the Pao Arts Center on Tuesday, February 12th. Suggested donation for the event: $5. Doors will open at 5:30 pm, the event will begin at 6 pm. Helen Zia will read selections from her upcoming book, to be followed by an audience Q&A session and book signing. Pre-sale books will be available shortly. 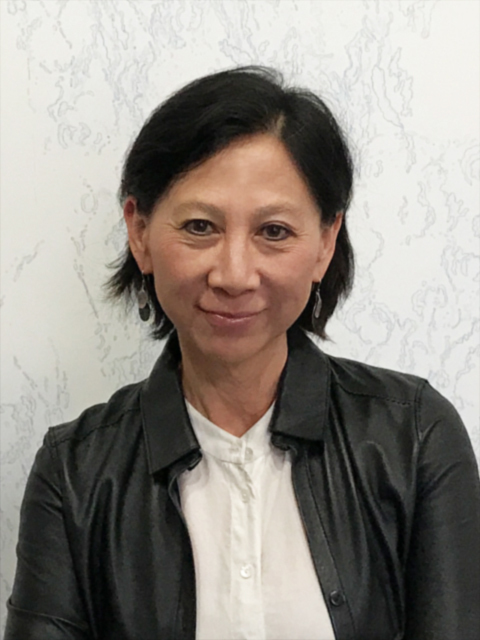 Helen Zia is the author of "Asian American Dreams: The Emergence of an American People," a finalist for the prestigious Kiriyama Pacific Rim Book Prize. She was Executive Editor of Ms. Magazine and is a founding board co-chair of the Women's Media Center. Her articles, essays and reviews have appeared in numerous publications, books and anthologies, receiving awards for her ground-breaking stories. The daughter of immigrants from China, Helen has been outspoken on issues ranging from human rights and peace to women's rights and countering hate violence and homophobia. Her work on the 1980s Asian American landmark civil rights case of anti-Asian violence is featured in the Academy Award nominated documentary, "Who Killed Vincent Chin?" and she was profiled in Bill Moyers' PBS series, "Becoming American: The Chinese Experience." The Pao Arts Center will be partnering with Company One Theatre (C1) to host the first C1 PlayLab Open-Write of 2019. If you have a writing project that needs attention, or if you simply want to sit in with community writers on the same journey, join us at China Pearl restaurant from 10am to 12:30pm in Boston Chinatown for some light dimsum and unstructured writing time. No prerequisites or experience is required - everyone is welcome! Open-Write events are hosted by C1 Resident Playwright Kirsten Greenidge and Director of New Work, Ilana Brownstein. Bring portable writing tech (tablets, notebooks, etc), outlets for laptops may be limited. Organized by Dan Jay and Mary Y. Lee, Beyond Expectations showcases works of art from community members regardless of professional training, and tells the stories of how they have worked beyond the expectations of their family or society to fulfill their personal passion for art. The exhibition features works that investigate Asian American and Asian Immigrant culture and engages with the Boston Asian American communities. Dan Jay is a visual artist combining art and science with a unique perspective of a scientist’s mind and an artist’s eye. In the mid-1980s, Dan was elected as a junior fellow at the Harvard Society of Fellows to do science and art, and was provided with both a laboratory and an art studio. He is now Dean of the Sackler School of Graduate Biomedical Sciences and adjunct professor of Drawing and Painting at the School of the Museum of Fine Arts at Tufts University. Dan has shown widely including Harvard University, Massachusetts State House, Boston Convention Center and the Museum of the National Center for Afro-American Artists. He has shown internationally in France and Canada. Mary Y. Lee - As a child of Chinese immigrants, Mary grew up working in her parents’ laundry in Somerville through college, until attending graduate school in California, and later returning to Boston for medical school. After recently winding down a full career as an internal medicine physician, academic dean, and associate provost at Tufts, she is finally fulfilling her passion to create art, while continuing to consult in higher education. Working mainly in oils, Mary searches for intrinsic beauty that can be represented by the interplay of light, color and form, regardless of subject matter, and strives to connect the observer to that beauty. Co-curators Mary Y Lee and Dan Jay fulfilled family expectations by attaining success in academic medicine as the children of Asian immigrants. However, both have artistic souls and pursued art within the limits of their academic paths. Mary waited until stepping down from her Associate Provost and Dean positions at Tufts before committing consistent time as an artist. Dan, who is currently Dean of the Sackler School for Graduate Biomedical Sciences at Tufts, had parallel careers in art and science with science dominating his life up until the last five years. This is a collection of eight riveting, contemporary Asian American short stories spanning a multitude of genres from crime-action to family drama, legal and medical situations, romance comedy and even sci-fi. The Asian American characters are a blend of Chinese, Korean, Vietnamese, Taiwanese and Thai to show an Asian American intersectionality in storytelling. On the heels of an amazing summer where we saw Asian representation in film from “Crazy Rich Asians” to “Searching”, “The Tamago Stories,” continues to show Asian American characters in contemporary and dramatic stories where they are the heroes. Though there will be a small number of books on hand, it is recommended that you buy “The Tamago Stories” or Vincent’s first novel, “The Purple Heart” beforehand for it to be signed. About the Author: Vincent Yee was born in Boston, Massachusetts. For most of his career, he has worked for a number of Fortune 100 companies in various managerial roles. At all other times, he has a vision… “to use the power of fiction to portray Asian American men and women positively in the media.” His first novel, “The Purple Heart,” is a story about love and courage. Vincent Yee was a former National President for the National Association of Asian American Professionals (NAAAP). He’s also been known to create artistic culinary dishes for friends. He now lives in Cambridge, Massachusetts and is planning his third book project. 11.6.18 - REGISTRATION IS NOW FULL ! Please email cynthia.woo@bcnc.net to be added to the waiting list. Don't miss the opportunity to work with Sara Porkalob, award-winning storyteller activist based in Seattle. Storytelling is one of the most rigorous tools we have to fight oppression and social injustice and this three hour workshop provides accessible creative strategies to individuals interested in pairing activism with their specific practice via storytelling. In partner and individual exercises, we will engage in a series of written and performative fast-paced content generative prompts. You’ll learn how to create a dynamic physical world out of nothing and play multiple characters, all the while using YOUR unique strengths and truths to engage your audience towards a shared goal. Stories can change the world. Share yours. Participants will need: something to write with, something to write on (ideally not an electronic device), a water-bottle, and comfortable clothing. Funded in part by the New England Foundation for the Arts’ National Theater Project, with lead funding from The Andrew W. Mellon Foundation and additional support from the Doris Duke Charitable Foundation. Sara Porkalob is an award winning storyteller activist based in Seattle. She served as Intiman Theatre's 2017 Co-Curator and is the Managing Director for their Emerging Artist Program. Dragon Lady, her first full length work, has garnered a Seattle Times Footlight Award, Broadway World Award for “Best New Play”, and is nominated for three Gregory Awards (Best Musical Production, Outstanding Actress in a Musical, and Outstanding Sound/Music Design). She was one of the first recipients of a Village Theatre Original Writers Residency and is a Nominee for the 2019 Americans for the Arts Johnson Fellowship for Artists Transforming Communities. In spring of 2019, American Repertory Theatre will produce Dragon Lady and Dragon Mama, the first two solo-shows in her family trilogy THE DRAGON CYCLE . Her new play 7th and Jackson--a coming-of-age tale about three young women set in 1940's Seattle's International District and accompanied by live music--will be produced by Nordo's Culinarium in July 2019. This fall and winter, she is teaching and focusing on writing her family memoir/cookbook/graphic novel. Orchids are thought of as exotic but they also grow worldwide. Bring a friend this fall for a class or the entire series to learn how to paint these beauties before snow settles in New England. Class will be held on Saturday, November 10, 17, & December 1 and 8. *No class on November 24. Register for the series by Saturday, November 3. The Inside Chinatown project, which will take place from January-June 2019, invites 10-12 community members to tell their story and history through photography. Learn to capture what Chinatown is today from your point of view. Each participant will receive a $350 honorarium. 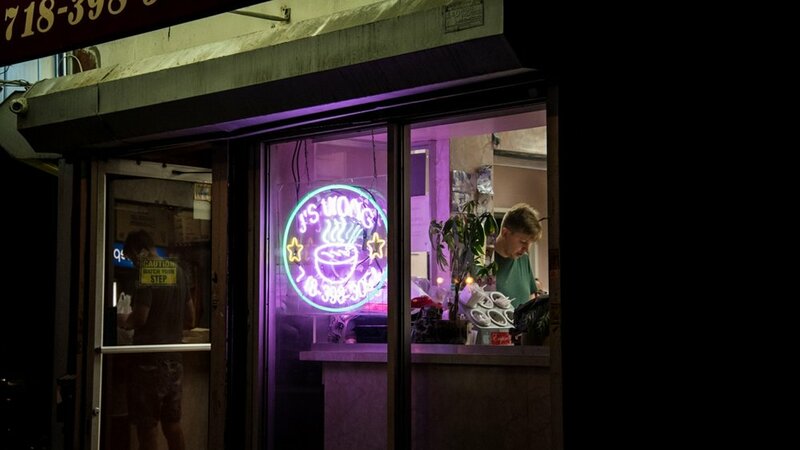 Get a preview of the project and be inspired by Salisbury's work, Thank You, Enjoy, a project that tells the stories of Chinese immigrants who work in restaurants and takeouts in New York through photos and detailed, bilingual captions. The kick-off will include time to learn more about the project and to meet with Salisbury, and UMass Boston and Pao Arts Center staff. Want to participate in the Inside Chinatown project but can’t attend the Kick-Off Event? Learn more about how to participate.